India is a land of unexpected technologies. Since the beginning of time, Indians have always been inventing things which have proved beneficial for everyone. At present, our country is moving towards the digital age and with the initiative of Digital India started by our Honorable Prime Minister, Mr. Narendra Modi, the graph of growth has gone up. Leading in the same direction, few Indians thought about contributing towards this initiative. The contribution was done in the tech niche which has always remained inevitable for us. The rise of technology and the increased use of smartphone has not only explained the unexpected experiences with it but also increased our productivity in some or the other way. These unexpected experience what people have, come from various applications that people install on their smartphones. And when you are in India, the craze for technology is quite high which means that we Indians have more reliability towards applications. But still there is a major part of our country that lacks this experience. The reason is very simple, just like everyone has their own preferences, similarly, people want applications in their own preferred language. India is a country where people not only from different religion but also with different language live together. This factor is the only reason why people still use applications less. But not anymore as Cyber Indian App Stores has come up with an app store where this problem is resolved. Launched on 25th April 2017 at GIDS, Banglore, India App Stores is the perfect resolution to all the Indian users as well as the developers. What is the concept behind making this app store? The idea is very simple, to contribute to the growing digital India and help the developers in getting their apps translated into various dialects. India app stores not just wanted to capture the Indian audience but give a big platform to the developers of this country. The development of this app store was done to make sure that every Indian gets to use the app in his or her own preferred language. Let’s understand the benefits of having an app store in different dialects with the help of an example. Let’s say that a developer wishes to target the audience from Punjab then there are high chances that the people living the state of Punjab would prefer Punjabi language more than English. Hence, for users, it will enhance the experience of using an app and thus the entire process will contribute towards digital India. 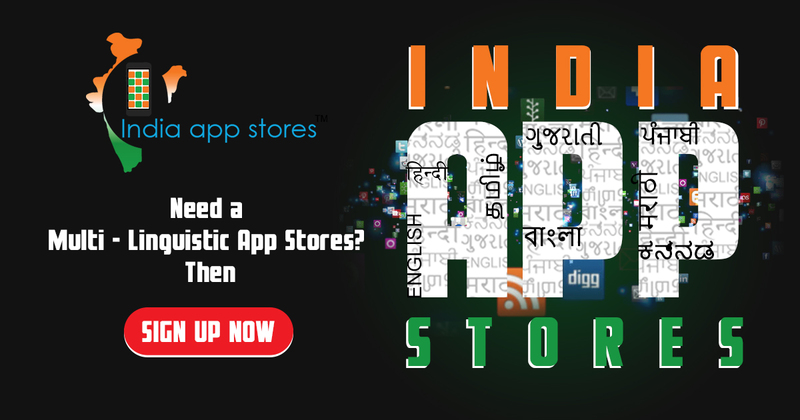 The creators of India App Stores wanted to simplify the complications developers are facing in this country. Normally, when you sign – up on an app store, there is a compulsion to pay the sign-up fees but with India App stores, this compulsion is eliminated. Also, an app store is the warehouse where you keep all the apps, therefore, instead of having an app, developing an app store proved more meaningful. India App Stores have unleashed a new way of selling strategy for the developers. Now if the developers don’t want to upload the app, they can even sell the source code of their app. Further, if any of the developers have the templates for sale, they can do so here easily. Hence, this makes India App Stores the coolest app store ever with an opportunity which no one will like to miss. To encourage the engagement of developers, India App Stores is giving Rs. 250 cash-back on successful app upload. Moreover, if a developer has an app to sell in bulk, say 10 apps then they will get a surprise gift from the app store. The conclusion to a never ending process can never be attained. The technology will never run out on Android platform as it has scope for unlimited updates. Therefore, India App Stores is a way where the Indians and the Indian developers will always get a never ending experience. All we can say about this store is that if you miss the opportunity here then we cannot assure more accurate start for your business because language matters.